18 Time “1848 Club” Winner! The Knapheide Manufacturing Company was founded in 1848 by Henry Knapheide, an immigrant from Westphalia, Germany. Originally a wagon company, Knapheide began making truck bodies in the early 1900’s and is the oldest manufacturer in the truck equipment industry still owned by the founding family. After 150 years of operation, The Knapheide Mfg. Co. has evolved into the nation’s premier producer of steel service bodies and platform/stake style truck bodies. Our company has seen a lot of changes over the years, but one thing that will never change is the value, function and durability built into our products. 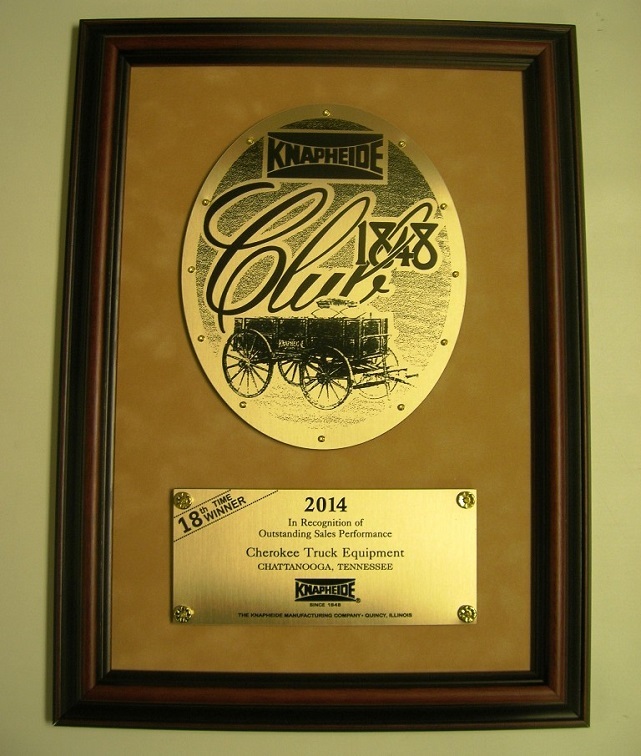 Since 1848, The Knapheide Manufacturing Company has provided its customers with high quality, work-ready transportation solutions. Our industry-leading truck bodies and truck beds are backed by the largest and most dependable distribution network in the industry for superior sales, service and support. Knapheide offers the most comprehensive and innovative selection of commercial vehicle solutions, from truck bodies and truck beds to van interior organization equipment and pickup accessories and beyond. The extensive selection of product ensures Knapheide has the right solution to fit the need, regardless of the size of commercial vehicle, from Class one up to Class eight. Check out our dependable line-up of truck bodies and truck beds below and see for yourself why after more than 160 years in business Knapheide continues to be the leader in the commercial vehicle industry. More contractors and technicians rely on the Knapheide KUV than any other enclosed utility bodies. Get to know the KUV from Knapheide and you’ll understand why it is put to work more than any other utility body in the industry. Farmers, ranchers, contractors, and miners have come to depend on Knapheide Gooseneck Bodies to perform the heavy hauling they demand day in and day out. Dump Bodies from Knapheide are built with high strength steel for unmatched durability. Industry exclusive features make these the best Dump Bodies in the industry. Arborists and tree care professionals have come to rely on Knapheide Forestry Bodies. Whether you need a ground or aerial compatible unit, Knapheide has Forestry Body to fit the need. Keeping equipment up and running is vital to the bottom line. Knapheide Mechanics Trucks provide a workstation on wheels in order to maintain maximum equipment uptime. Performing regular preventative maintenance on equipment can positively impact ROI and equipment life cycles. Knapheide Fuel Lube Trucks provide all the tools and storage necessary to complete proper P.M. intervals. From dust control to delivery applications, Knapheide Water Trucks continue to be the most dependable available. Choose models with standard tank sizes or Knapheide can build a customized truck for your application. Knapheide offers a comprehensive line-up of Van Equipment from the leading manufacturers, including the industry’s most innovative van interiors and van equipment from Sortimo by Knapheide and Gruau.